As you know, the globetrotting EB Festival hits Budapest on October 31st with James Blake, Zoot Woman, and Joy Wellboy in tow, but you didn’t know that we had another ace up our sleeve: the prodigious James Holden. The UK producer made a name for himself at the turn of the century, when he was just 19 years old, with a surprise hit titled “Horizons.” Since then, he has earned international acclaim with a string of impeccable releases, including two albums on his own Border Community imprint. To get a sense of his ethereal and detailed take on club music, feat your ears on the goodies below. As you may remember, tickets for the festival are on sale now at electronicbeats.net, Ticketportal, the Ticketportal offices, and at Központ. (5 Madach Imre str., 1075 Budapest). You can also grab some via the Ntry form embedded on the left. 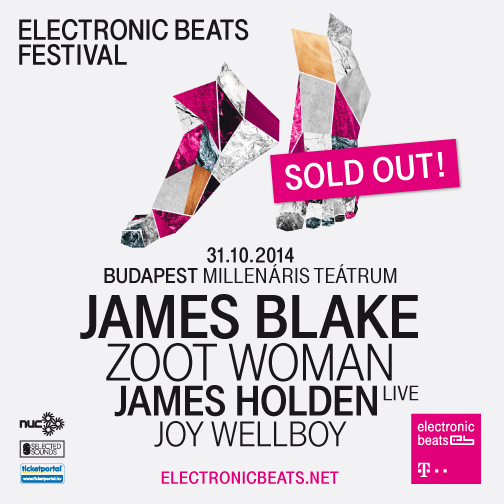 And, of course, if you’re chatting it up about the festival via social media, don’t forget to hashtag #ElectronicBeats.